Based on this Ethernet Gadget tutorial, I configure my Raspberry Pi Zero (Rpi0) as a USB gadget. When I plugged it into one of the USB ports on my Seagate Dockstar running on Linux debian 4.12.1-kirkwood-tld-1, my Dockstar crashes and leaves me with a useless shell prompt. In other words, trying to execute basic commands, i.e. ls, df, etc., ended up with a command not found and/or Input/output error as shown below. If I powered up my Dockstar with an Rpi0 plugged into one of its USB2 ports, I have no problem to SSH into my Dockstar. And, dmesg report indicates that my Dockstar recognizes the Rpi0 as a USB gadget, but with some error messages as shown below. At this point, I don't know how to reach my Rpi0. If I execute ssh rpi@raspberrypi.local, I get an error message saying Could not resolve hostname raspberrypi.local (see below). Anyone? [   22.567026] systemd: System time before build time, advancing clock. [   22.730633] cgroup: cgroup2: unknown option "nsdelegate"
[   22.782439] systemd: Detected architecture arm. [   22.835677] systemd: Set hostname to <debian>. [   29.035357] systemd: File /lib/systemd/system/systemd-journald.service:36 configures an IP firewall (IPAddressDeny=any), but the local system does not support BPF/cgroup based firewalling. [   29.617214] systemd: Listening on Journal Socket. [   29.695990] systemd: Set up automount Arbitrary Executable File Formats File System Automount Point. [   29.735679] systemd: Listening on udev Control Socket. [   29.775503] systemd: Listening on Journal Audit Socket. [   29.815716] systemd: Created slice User and Session Slice. [   29.905154] systemd: Started Dispatch Password Requests to Console Directory Watch. Below is some additional error messages captured from dmesg output before my Dockstar crashes with an unusable shell prompt. I don't understand why it reported with a Maybe the USB cable is bad? error message. The USB cable I use is only 6.5" length from tip-to-tip. [  332.359192] usb 1-1-port4: Cannot enable. Maybe the USB cable is bad? [  332.422064] usb 1-1-port4: Cannot enable. Maybe the USB cable is bad? [  332.505954] usb 1-1-port4: Cannot enable. Maybe the USB cable is bad? Finally, I managed to fix the above issued. So, I ordered this USB Mini 5Pin Female to Micro 5Pin Male 90 Degree Angle Adapter and my Rpi0 fits to a Dockstar docking port as shown in the attached picture. Unfortunately, it does NOT work because the adapter is NOT OTG capable (see here on how to convert a non-OTG to OTG). I was thinking to fix this by inserting a tiny sleeve of aluminum foil to shunt the Sense pin to the GND pin on the micro USB side. But, this is very tiny and am afraid to fry it. > Finally, I managed to fix the above issued. Looks like I spoke too soon. The above problem persists. I suspect the g_ether kernel module may have some bugs that causes the rootfs partition on a USB storage to corrupt in memory (RAM). Power cycling the Dockstar will definitely get the USB memory stick cleaned again by removing some dirty inodes during the power boot and then boots into a normal mode thereafter. > So, I ordered this USB Mini 5Pin Female to Micro 5Pin Male 90 Degree Angle Adapter and my Rpi0 fits to a Dockstar docking port as shown in the attached picture. Unfortunately, it does NOT work because the adapter is NOT OTG capable (see here on how to convert a non-OTG to OTG). Looks like the same thing here: I spoke too soon, too. 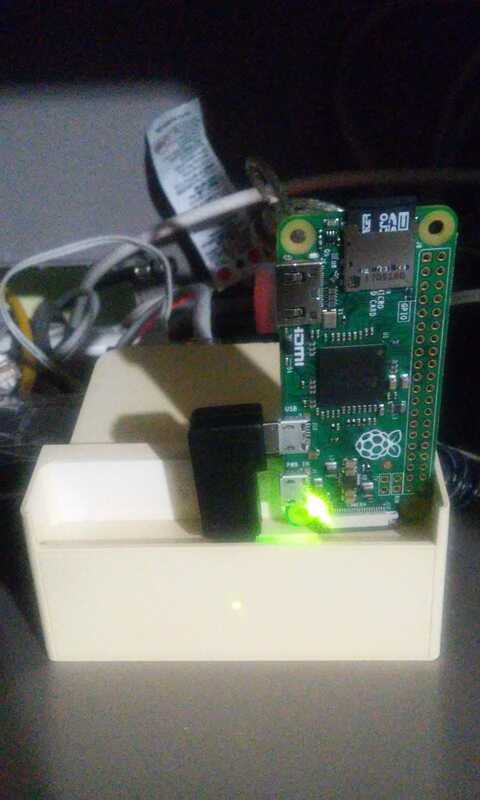 I did some further tests by connecting my Rpi0 to the Dockstar docking port through its USB power port and the Rpi0 boots OK. However, since it is a power USB port, it won't be able to communicate with the Dockstar to get the IP Address from my router. Anyway, I then shutdown the Dockstar, unplugged and/or replugged the Rpi0 to the Dockstar docking port through its USB data port (see the attached snapshot). LOL and behold, the Rpi0 now boots OK, assigned with a dual-stack IPv4 and IPv6 addresses from my router, and I now am able to access it through my LAN. 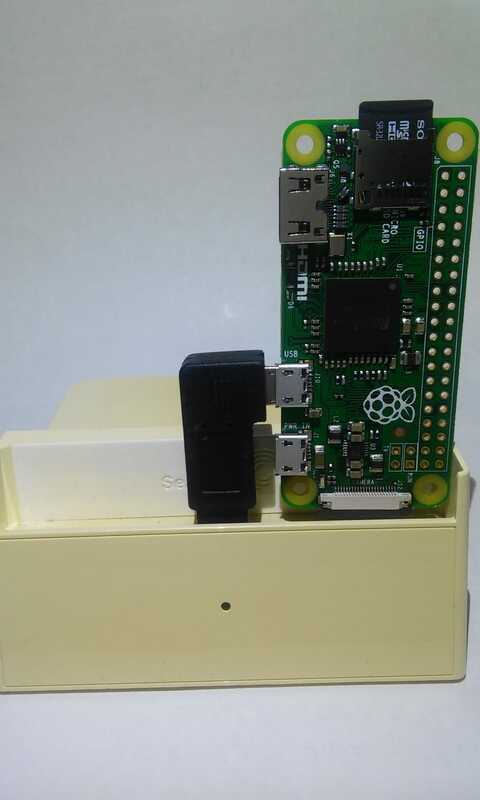 TBH, I am clueless how power cycling an Rpi0 through its USB power port activates its USB data port to power the Rpi0. Perhaps, it was just a fluke. Looks like this is the least cost to get an Rpi0/W up running.